Hearts v Aberdeen preview: Further injury blow | left-back options | who partners Ikpeazu? Hearts entertain Aberdeen at Tynecastle on Saturday afternoon in the Ladbrokes Premiership. Craig Levein’s men are entering a crucial juncture of their season. They play Aberdeen, Rangers and Hibs within the space of a week, before meeting Inverness CT in the Scottish Cup semi-final. Victory over the Dons wouldn’t just give the squad some much-needed momentum, it would also bring them to within two points of their opponents in third place in the Ladbrokes Premiership table. Already severely hampered by the loss of Steven Naismith and both starting full-backs, Michael Smith and Demetri Mitchell, to injury, Hearts’ chances were dealt a further blow when Ben Garuccio was ruled out for ten months with an ACL injury suffered in training. Levein will now have to decide whether to plug in a player unfamiliar with the position - like right-back Jamie Brandon or winger Jake Mulraney - or alter his formation to make up for the loss. 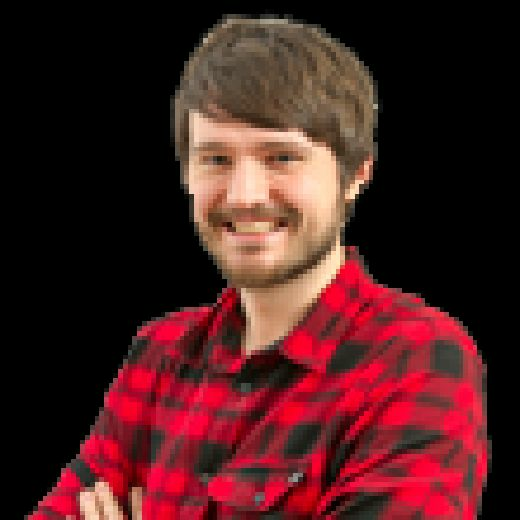 He also has to find the right formula in attack as Hearts have failed to net more than two goals in one game - with the exception of non-league Auchinleck Talbot - since October. Garuccio joins fellow full-backs Michael Smith (thigh) and Demetri Mitchell (knee) on the sidelines after tearing his ACL. Centre-back Clevid Dikamona (knee) is a doubt while Steven Naismith remains out after knee surgery. (3-4-3): Zlamal; Souttar, Shaughnessy, Berra; Godinho, Djoum, Haring, Mulraney; Clare, Lee; Ikpeazu. Subs from: Doyle, Brandon, Burns, Bozanic, Wighton, MacLean, Vanecek, Keena, Cochrane. The Dons are expected to include three injury doubts in their squad to face Hearts. Both Lewis Ferguson and Connor McLennan picked up knocks while away with Scotland under-21s but are expected to make their return in time. The same goes for Andrew Considine, who missed the 1-1 draw with Livingston last time out. Gary Mackay-Steven faces a race against time to regain fitness, while Shay Logan (ankle) and Tommie Hoban (knee) remain long-term absentees. (4-2-3-1): Lewis; Ball, McKenna, Devlin, Lowe; Shinnie, Ferguson; McLennan, Stewart, McGinn; Cosgrove. Subs from: Cerny, Considine, Gleeson, May, Wilson, Halford, Campbell, Ross. The number of victories enjoyed by Aberdeen at Tynecastle in the past 20 years, and two of those were against Ian Cathro’s team (and therefore shouldn’t really count). From now until the end of the season, ‘Uche Ikpeazu v opponent’ should be the answer here. 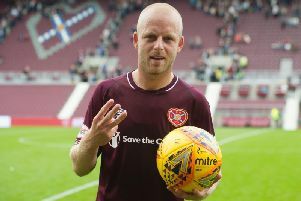 Hearts are lacking in attacking areas thanks to problems out wide and the absence of Steven Naismith, but they’ll always have a chance as long as their hulking target man is on his game. This weekend he’ll be going against a formidable duo of Scott McKenna and Andrew Considine. If he can get the better of them, Hearts will have a chance to earn victory. Hearts have not been particularly successful in matches refereed by John Beaton this season. After winning their first encounter with the official, a 1-0 triumph over Celtic back in August, they’ve since lost four straight - Rangers away, Celtic away, Aberdeen away and Dundee at home. While the Dons didn’t have a particularly pleasant time of it in their other league game officiated by Beaton, losing 3-0 to Motherwell, there were fonder memories created when they defeated Rangers in the Betfred Cup semi-final.